Along with sisters, Masha and Dasha, build and drive custom cars! Sisters, Masha and Dasha, have been obsessed with cars ever since childhood. And they've been even more obsessed with auto racing. In their dreams they've always seen themselves on top of the podium, sharing a golden cup win. Customizing a racecar takes money, though! Help Masha and Dasha to run a successful auto shop, in order to fund their dream of building a racing Bolide. 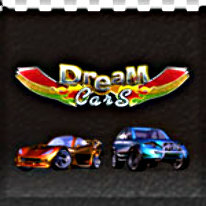 Play the roles of both manager and mechanic, and produce custom cars for clients with all sorts of requests. Can you build up dream cars, while simultaneously keeping customers happy as they wait? The demands of this job are as challenging as they are fun: test drives, street races and re-selling second-hand cars make for plenty of full-throttle action.